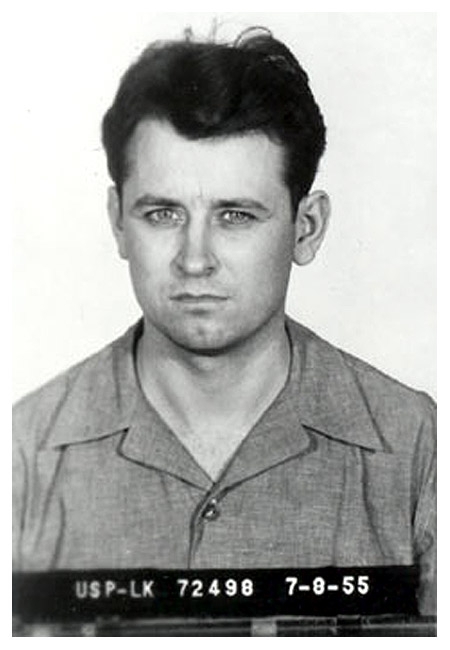 James Earl Ray, who assassinated Martin Luther King, Jr. in April 1968, was photographed by Bureau of Prisons officials in July 1955. Ray, 27 at the time, was locked up in the federal prison in Leavenworth, Kansas for stealing and forging postal money orders. He died in 1998 at age 70. James Earl Ray, Martin Luther King Jr. Submitted by Reorx on Sat, 2011-02-05 03:45. Submitted by clairpie on Tue, 2011-03-15 15:06. Submitted by roydawgg on Mon, 2010-11-15 02:47. Submitted by Lexi The Thinker on Sat, 2010-10-09 15:24. Submitted by M1ndFlayer on Wed, 2010-09-01 00:29.